List of high protein foods that you might not have seen before! Protein is one of the 6 essential nutrients, protein is available from a variety of sources, a usual high protein foods list would include cheddar cheese, cottage cheese, egg, chicken breast, peanuts and tuna. However the following is a list of high protein foods eaten by indigenous people around the world that you may not be familiar with. Australian aborigines eat the Black wattle in several ways. They eat it as a paste made from the flowers of the plant, or bake the seeds into a cake or make it into flour. 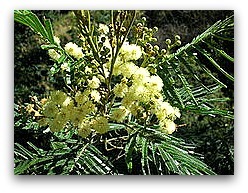 The blackwattle contains a large amount of protein 25% more than wheat or rice. 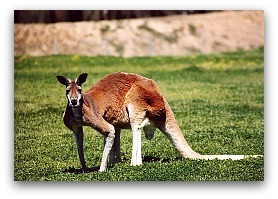 Kangaroo was an important part of the tradition Australian aborigine diet. Today it is exported to more than fifty five countries. A serving of 150 grams of kangaroo rump or fillet provides 7% of a person's everyday energy needs. 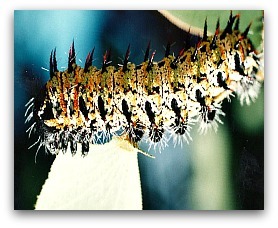 The witchetty grub is usually found under black wattle trees. They were an important source of protein for the Australian aborigines, they can be eaten raw or cooked. In the video below Ray Mears eats a witchetty grub with the Australian aborigines. 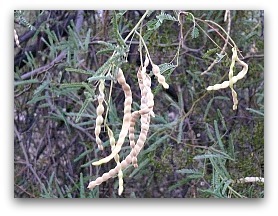 Mesquite pods come from the mesquite, it can be found in the south west of the United States and northern Mexico. The Native Americans turned the pods into a high protein flour by grinding it down. It was an important part of their diet. The mopane or mopane worm is a very good source of protein and is eaten by millions of people in Southern Africa. Dried mopane worms are eaten raw; the worms are also cooked with tomatoes and onions and served with sadza. 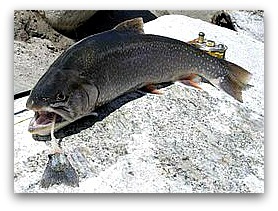 Arctic char is part of the Inuit people's high protein diet; it is eaten raw, dried or cooked. Arctic char eggs are also an excellent source of protein. A 1 ounce serving or arctic char provides 7 grams of protein.